A strange pink haze was seen in Vancouver skies and it's all because of cannabis. This story was originally published on December 27. An unusual pink haze was seen lighting up Vancouver skies and locals posted photos and videos of the strange incident on Reddit last week. One local titled their video of the pink haze, "'Swimming' lights and pink haze in Delta, BC" and also asked other Redditors, "Can anyone explain this?". Another resident also posted a photo of the pink haze onto Reddit. In their photo, it was seen strongly from a Metro Vancouver neighbourhood. They captioned their picture, "Long exposure of the weird light in the sky". The footage has prompted other Vancouver Redditors to comment their speculation on what caused the unusual pink haze to take over Vancouver skies. It looks like the general consensus on both Reddit posts about the pink haze is that it is actually all caused by weed, which seems very unexpected. 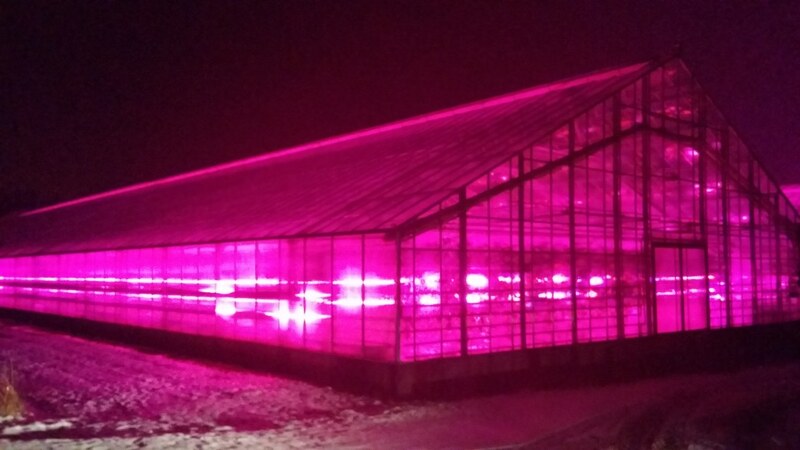 The top comments on both Reddit posts say that the pink haze in Vancouver is due to greenhouses growing pot. One Redditor, sathyakaKTM, commented on the Reddit post that the pink haze was from "LED lights growing cannabis" and they use it because it is "cheaper than running High Pressure Sodium bulbs". On the other Reddit post, the top comment was from yohan12 who wrote, "Greenhouse Lighting" and linked to a picture of a pink greenhouse on Imgur. Redditor Feiss commented under it, "Yes, the pink/purple lights are from a greenhouse on Highway 99. The strange things are the "lights" moving around in the pink light". The weird pink haze even led to some locals following the haze all the way to the end to find out what it was. They confirmed that it was cannabis greenhouses. "Friend just showed me similar pictures his friend posted on Instagram. They followed the light and it was a bunch of greenhouses growing cannabis," commented Redditor portugalinvancouver on the Reddit post. It looks like Vancouverites have solved the mystery of the weird pink haze seen in the sky. You can check out the video of the pink haze on this Reddit thread and a photo of the intense hue from a Vancouver neighbourhood on this Reddit thread.